GSMArena team, 21 March 2014. 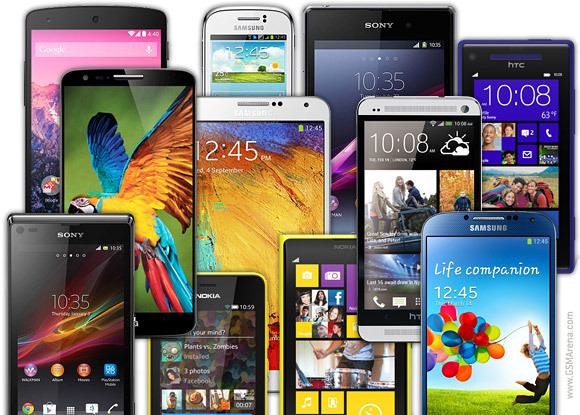 We're back with our latest smartphone shopper's guide, and our first for 2014! In this edition we'll see which new devices announced at the MWC made the cut as good buys, next to some former flagships that have had their price reduced - without losing much value - to become sleeper picks in the upper midrange category. As before, we're splitting up the guide by price category, starting with sub-€100 smartphones and going all the way to the top shelf stuff. Price drops from many top manufacturers have resulted in a lot a movement between the ranks. The sub-€100 segment features some incredible deals on Android and Windows Phone smartphones, while the fresh batch of high-end models from MWC means some great deals on former flagships. Before we jump in, a word on the technical side of things, and what it takes to make the cut. In terms of computing power, a dual-core processor is passable, but entry level phones make do with just one core (there are only a few of those in this guide though). Having a Krait-based Snapdragon dual-core chipset or just about any quad-core chipset is a guarantee for proper performance in the lowest price bracket. For screens, anything under 200ppi is pretty poor (usually screens on budget phones), 200-300ppi is good but not great, and anything over 300ppi is eye-popping quality and differences get near impossible to spot with the naked eye. For cameras, you want at least 5MP for stills and 720p for video, though budget phones settle for 3 or less megapixel stills and VGA video (think 4:3 DVD quality). Also, keep in mind that we're looking at off-contract prices. On-contract devices come cheap but get you saddled with an expensive plan for a year or two, which masks the true price of the device. Besides, carrier subsidies vary across markets, so since we are catering for a varied international audience, we can't really provide information that will be relevant to everyone. We've also omitted any phones with limited market availability, as we want to make sure that you'll actually be able to buy the phones listed here in the coming month or two, rather than just read about them.